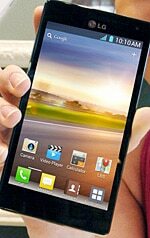 The LG Optimus 4X HD is a flagship handset that features a 1.5GHz quad core Tegra 3 processor, 4.7-inch HD display, and a skinned version of Android 4.0 Ice Cream Sandwich. Reports of a quad-core NFC handset from LG first surfaced in January under the codename X3. The LG Optimus 4X HD was launched on 24 February 2012 and first landed in Korea — the phone maker’s home territory — followed by a roll out in other markets later in 2012.